The trend for ‘customising’ your skincare just took a bit leap forward with these skin-boosting babies. 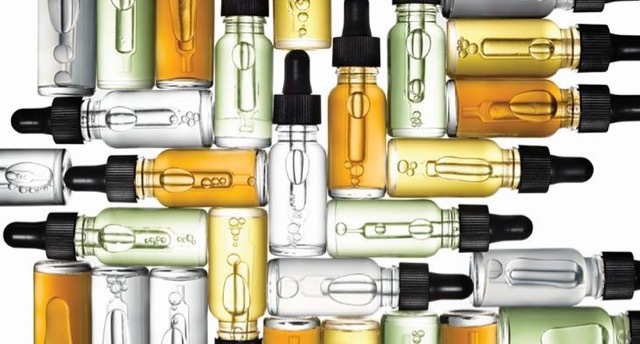 Ultra-potent (the dinky, apothecary-sized bottles are a clue to that), they target specific skin conditions. Now, you may know Bobbi for her ‘pop’ of blusher, her yellow-toned foundation or her classic red lipsticks – but if you’ve never checked out her skincare, this is the place to start. No. 75 Skin Clarifier Pore & Oil Control This has been on our wishlist for combination and oily skins for years: a non-stripping formula which balances oil levels, unclogs pores and stabliises cell turnover. Sea buckthorn, rosehip and salicylic acid are among the actives. No. 87 Skin Moisture Solution Intensive Rehydration Compound Really, just the drink skin needs at this time of year – packed with hyaluronic acid and ‘mineral-infused waters’. No. 57 Skin Salve Restoring Treatment Everyone needs one of these, for sure, to soothe skin whenever it’s irritated, dry or otherwise impaired. Shea butter, beeswax, turmeric and create what they call a ‘skin bandage’. No. 93 Skin Fortifier Strength & Recovery Tonic When the barrier function of skin is impaired – through sun damage or dryness – this is your go-to, with its lipid-rich blend of murumuru butter, ceramides and raspberry leaf wax. No. 80 Skin Relief Calming Algea Complex Visibly reduces redness and irritation, when skin’s feeling touchy – thanks to red algae and seaweed extracts. Not sure if the numbering means there are 80 or so more destined to join the line-up, but these will do nicely for now, thanks! Meanwhile if you’re looking to try them, there are some limited edition starter kits available for £25, each featuring brilliant travel sizes of the three products. Two or three drops per application, meanwhile, are said to be all that’s needed.